Life in the Pitts: Shutterfly and springtime. I know, summer is almost here. But before it hits, I want to take a minute and think about spring. It's the most exciting season (for me) because if winter lasted another month, I would never make it without turning into a homicidal maniac. No, really. I get crazy. And while I dream about summer, the reality is kind of hot and sweaty. Now, you might be wondering why I am talking so much about a season that is almost over. Well, I am participating in Shutterfly's Spring Announcements Promo. True to form, I am waiting until the almost-last-day to do it (the deadline is Sunday). I'm using mine for Baby Shower Invites (if they get here in time). No, not for me. For the shower I am hosting. I'm not pregnant. And if it's too late this time, keep an eye out. They do this every few months. 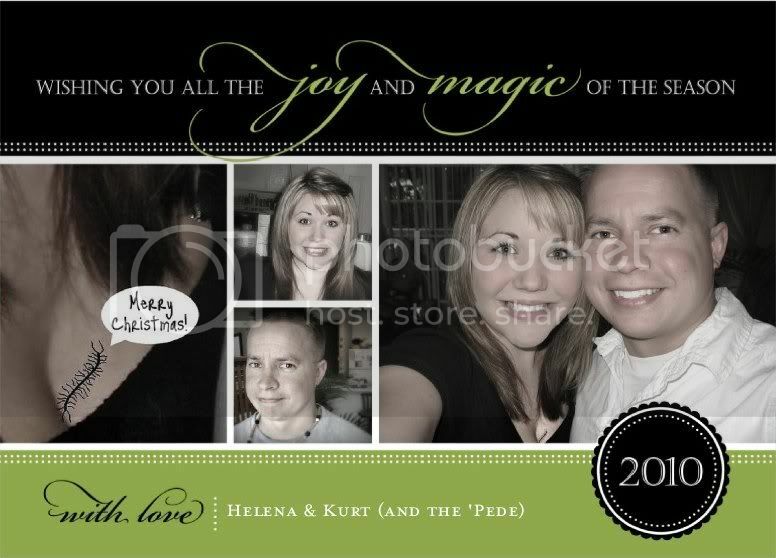 I participated in their Christmas promo, and got 50 awesome Christmas cards. Unfortunately, due to an unexpected job loss, I ran out of money, and couldn't send them out. I probably should have told you guys back then, but that's kind of when I went on my also-unexpected blogging hiatus. But I was really impressed with the quality of those cards. I still pull them out sometimes, and admire the cardstock. It's referencing this traumatic blog post. And it would have been fantastic. The moral of the story? Don't get laid off. Also, Blog for Shutterfly. They are awesome. Except it would be kind of hilarious and awesome to send those out this Xmas... with the wrong date. LOL!! If I got a perm, could we still be friends? It's not that I dont like this holiday.